Hillsborough is small town located in southern New Hampshire. The town of Hillsborough is most known for having such a rich history. Founded in 1736 by Colonel John Hill, the town was home to the fourteenth President of the United States Franklin Pierce. While history is an integral part of the community the town has a lot more things to offer. From the yoga center to the balloon festival exploring the town of Hillsborough will give you an experience you will not forget. One of the many the events the town of Hillsborough puts on is its balloon festival. 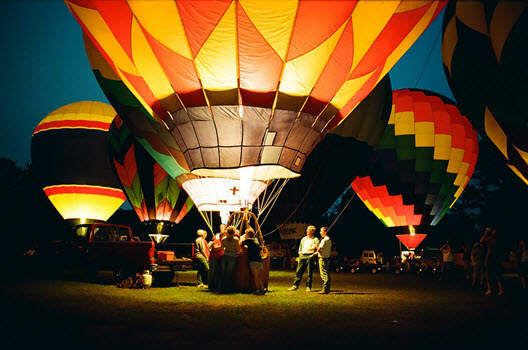 The Hillsborough Balloon Festival is a four day event that happens in July at Grimes Field. During the weekend several activities take place such as the 5K road race, the car show, the hometown parade, fireworks, balloon and carnival rides, live entertainment, and of course hot air balloons. This weekend is filled with fun activities for everyone to enjoy. While the festival only lasts for four short days the fun continues at the local living arts center. Bethel Farm is a yoga and living arts center that works on relaxation techniques with participants. The farm offers classes on mediation, yoga, massage therapy, and yoga teacher training. The farm also holds retreats and workshops intended for bonding purposes. Located in the woods the secluded environment gives you much needed relaxation. While this farm focuses solely on relaxation another farm gives you a place to stay when on a getaway. Stonewall Farm Bed and Breakfast in Hillsborough is the perfect place to stay on a getaway. A country inn that offers outdoor activities, fishing and everything you need for some little R&R. Like Bethel Farms this Bed and Breakfast also holds retreats, reunions, and family vacations. Staying at the Stonewall Farm Bed and Breakfast will provide you with the rest you need but it will also allow you to have more time to explore Hillsborough. While the town has quite a bit of places to visit it also has a lot of restaurants to try. The Mediterrano located in Hillsborough is a restaurant that specializes in Turkish and Mediterranean Cuisine. The restaurant offers cuisine with fresh wholesome fruits and vegetables, whole grains, seafood, and nuts and seeds. The flavors from Spain, Greece, Southern Italy, and Turkey are apparent when eating here. You are sure to get a taste of delicious ethnic foods. Hillsborough has these great places to eat, sleep, and relax but it would not be the town of Hillsborough without its historical society. The Hillsborough Historical Society is an organization that puts on a wide range of programs throughout the year. From tours to reenactments of historical events the historical society is an important part of the town. The society gives private and group tours in the home of Franklin Pierce and offers discussions on history of the town with the Hillsborough Heritage Museum. 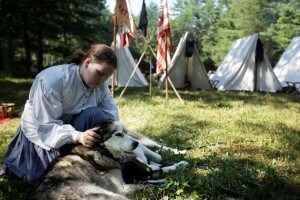 The society also puts on the living history event every August. The two day event is located in four different parts of Hillsborough. The event gives the attendees the chance to take part in fun activities such as the making of maple syrup, cooking on an old wood-fired cook stove, assisting a blacksmith etc. You are guaranteed a fun learning experience on the history of not just Hillsborough but New Hampshire as well. This article was written by Sandra Kayira, a student at Keene State College currently pursuing a BA in Communications and a BS in Management, and minoring in Public Relations and International Studies. Sandra also serves as Chair of the Multicultural Advisory Board, Vice President of Public Relations for National Society of Collegiate Scholars, and Events Coordinator for her sorority Lambda Pi Eta.